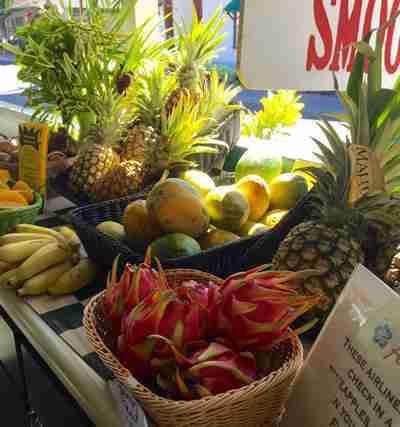 Take Home Maui, Inc. has been providing visitors with the sweetest, field ripened, Maui-grown pineapples for the past 30 years. 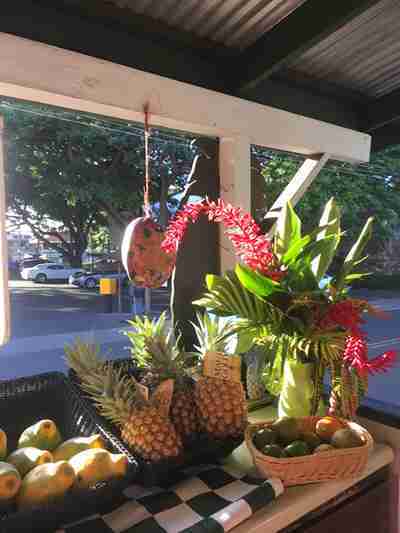 Our ohana (family) owned store is famous for the quality of service and aloha that anyone familiar with Maui would come to expect. If you are looking for something that you don’t see here, call us at 808-661-6185 and our friendly staff will customize your order. We specialize in the hybrid, low-acid pineapple, known as Maui Gold. Grown on the slopes of Haleakala, the Maui Gold Pineapple literally drips sunshine, blue skies and tropical breezes. We’ll ship your order direct to your door via FED EX, and we GUARANTEE 100% satisfaction. Our field-ripened Maui Gold Pineapples are simply the best, we get them straight from the fields the day before we ship them to you. Our 30 years of experience assures you top grade and only the best. We stand by our word. 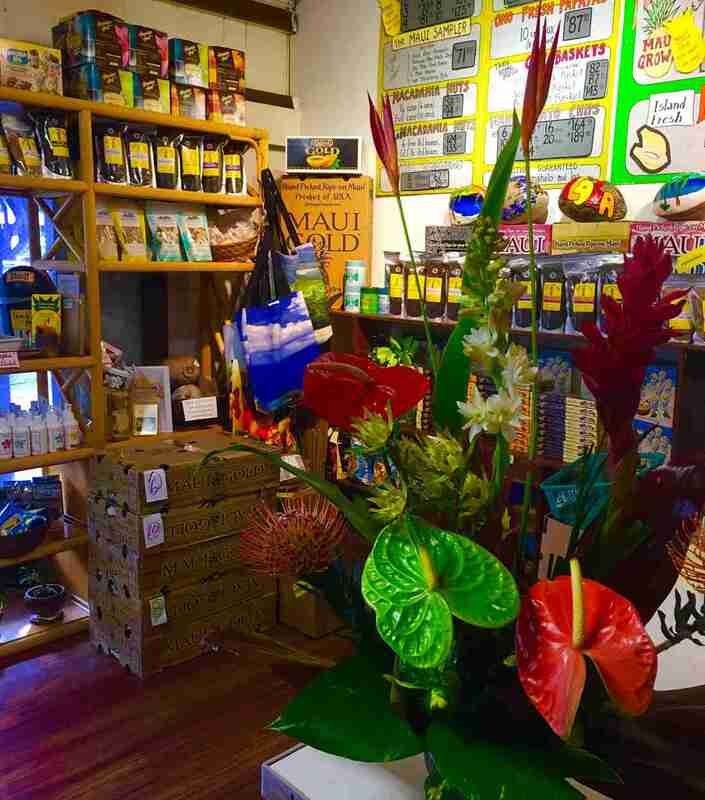 While visiting Lahaina, be sure to stop by our store and deli. 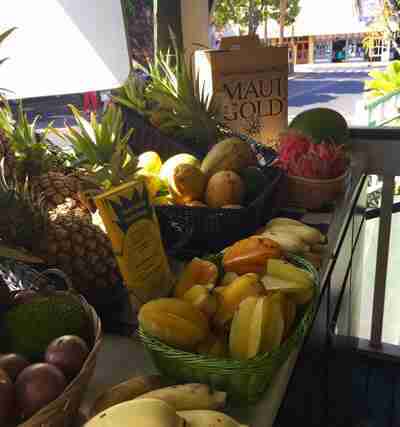 Enjoy a rich cup of Kona coffee or fresh fruit smoothie with one of the best sandwiches in town. 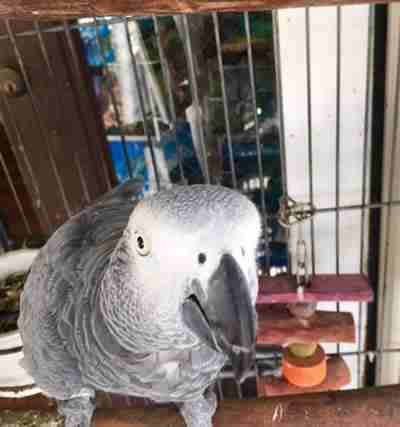 Spend a relaxing time in our front porch seating area, but please excuse Kehau, our African Grey parrot, he has been known to swear like a sailor.